Optimise site management with unrivalled visibility of demand, availability and usage. By deploying our app, you can refine operations to gain an understanding of the bottlenecks and challenges your staff and customers face like never before. 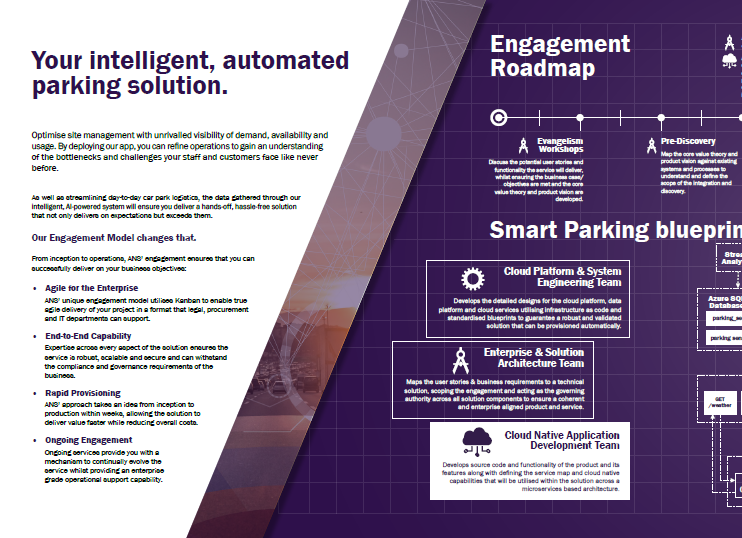 Take a look at ANS’ smart parking blueprint to discover how you can streamline day-to-day car park logistics with a hands-off, hassle-free solution that not only delivers on expectations but exceeds them.